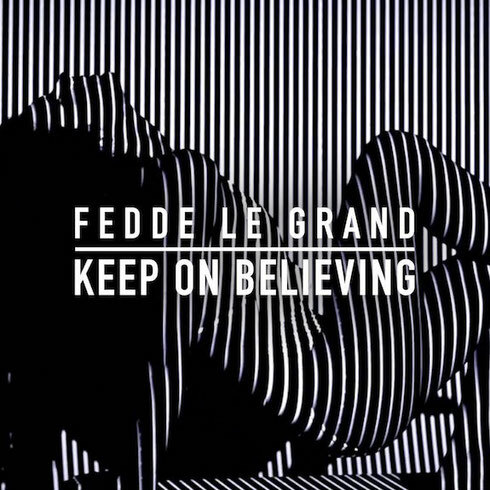 In the run-up to Fedde Le Grand’s album release, the Dutch DJ released a sneak peak of things to come with his latest single ‘Keep On Believing’, which is out now via Sony and Ultra Music. Following on from his previous releases ‘Feel Good’ and ‘The Noise (Yeah Baby)’, and with just over a month until his full album release, Fedde aims to strike while the iron is hot with this release. A hard-hitting dance track, its laced with big-room synths and a thumping four to the floor kick that aims to set clubs and festivals alight in the coming months. Coupled with the track comes a video that fuses early animation techniques with modern day computer graphics to create a visually stimulating piece of film. Giving the track a new dimension and energy, the video once again shows Fedde’s drive to deviate from the norm by trying to create something completely original.